Last week, ‘keto diet’ came into my discussion in 2 different settings. One was during a Dasara lunch with friends, where one person said that about 20% of his colleagues in the office have switched to keto diet with the main intention of losing weight. The second setting was in a hospital where an accident victim has been put on a keto diet by her surgeon while being treated for neurological problems. What is ketogenic (commonly referred to as ‘keto’) diet? It’s a higher protein, very high fat, low carbohydrate diet, which is advised mainly for epileptic patients. This type of diet planned in a phased manner under the guidance of a qualified dietitian and neurophysician, has worked well to control seizures in many patients. However, in the recent past, it has caught the fancy of many people who are using it to either lose weight or ‘feel better’ or increase muscle mass or control diabetes. Promoted by celebrities who neither understand nutritional science nor are medical professionals, keto diet is being practiced and advised by all and sundry who think they are specialists in dietary management!! What can go wrong on a keto diet? One can become malnourished especially if all the nutrient requirements are not met through the diet. Very high fat intake can lead to health problems in the long run; for example NAFLD (non alcoholic fatty liver disease). Bad breath, leg cramps, change in bowel habits are some of the possible initial effects of a ketogenic diet. Scientists believe that the benefits of ketogenic diet are temporary. Do not experiment with keto diet. 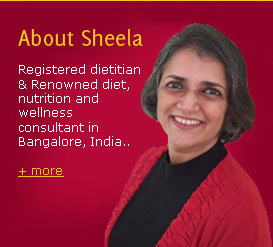 If at all you wish to try it out for a short period, consult a dietitian to make a proper diet plan for you.